Well, this is certainly different. 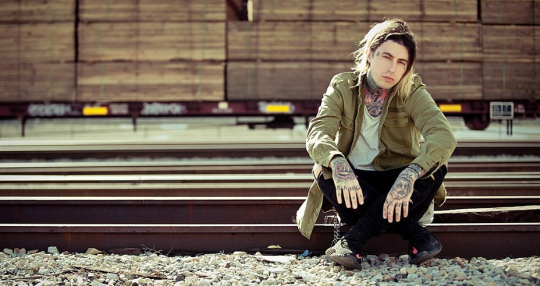 In lieu of a traditional fall tour, Falling In Reverse will be taking part in an intimate and incredibly personal trip around the US later this year as they will be spending their time on stage roasting frontman Ronnie Radke – no, seriously. 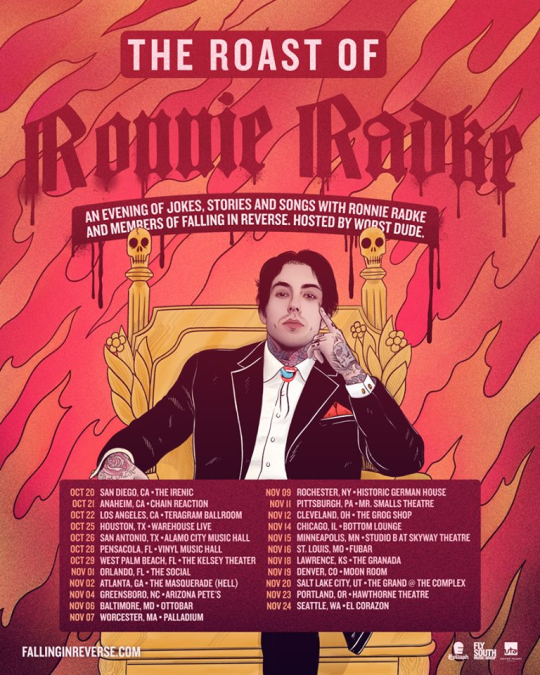 Kicking off October 20th in San Diego, The Roast Of Ronnie Radke will be coming to a city near you. In short, whether you’re a fan or Radke or not, this is definitely something you’re not going to want to miss as it’s most likely never going to happen again. To grab pre-sale tickets to the 23-date tour, head here. For tour dates and locations, see below.